Volkswagen Golf Estate Performance, Engine, Ride, Handling | What Car? The range kicks off with a turbocharged 109bhp three-cylinder 1.0-litre petrol engine, which is more than powerful enough if you drive mainly in town. And if you do venture onto the odd motorway, it’ll get up to speed and run with the pack well enough. Then again, for more relaxed motorway cruising or better load-lugging capability, you might want to step up to the four-cylinder petrols, starting with the 123bhp 1.4. This offers a bit more mid-range oomph and revs freely. A more powerful 1.5-litre with either 128bhp or 148bhp is also available. We’ve tried the lower-powered version, which has a similarly linear power delivery to the 1.4, feeling more than up to the task of hauling around lots of people and luggage. A 113bhp 1.6 TDI starts off the diesel range and has a useful band of low-end shove so you can make relaxed, if not exactly brisk, progress. If you want something quicker and can stretch to the 148bhp 2.0-litre diesel, it’s worth do so – the extra poke is definitely worth the premium. A noticeably brisker 182bhp version is also available and makes overtaking a breeze, but it’s only available in the pricier GTD and Alltrack versions. Finally, for those of you who aren’t prepared to lose face at the lights en route from Ikea, there’s the R model. This has 306bhp and four-wheel drive and can out-accelerate many proper performance cars. The Golf rides more comfortably than most other estate cars and it’s noticeably smoother than a Vauxhall Astra Sports Tourer, Skoda Octavia Estate or Seat Leon ST. Its suspension is supple enough to take the worst out of big bumps and potholes, while the ride remains brilliantly composed over the sort of scarred and patched-up surfaces you find in most towns and cities. 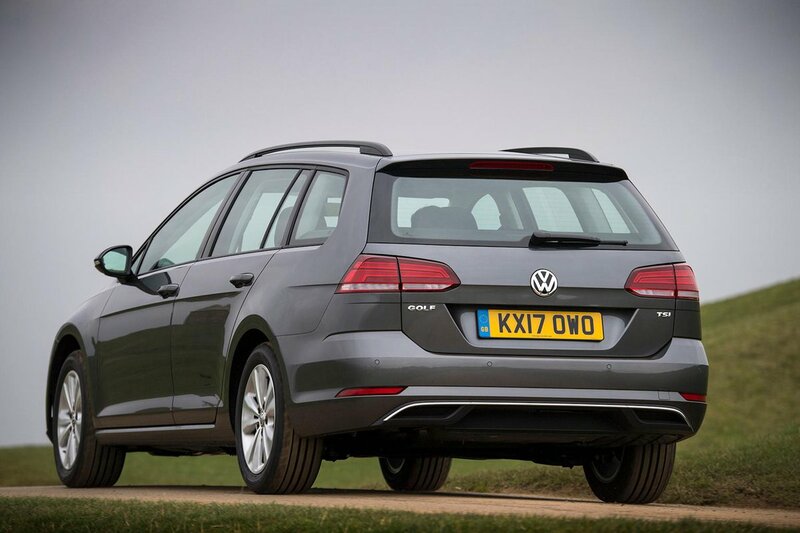 However, lower-powered versions (the 1.0 TSI and 1.6 TDI engines) are fitted with a less sophisticated rear suspension than other models in the range. 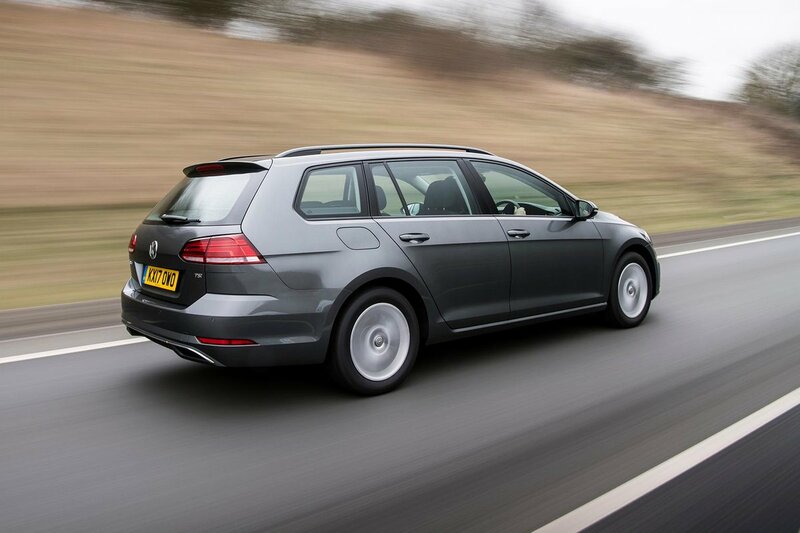 They still ride very well compared with most rivals, but aren’t as supremely comfortable as more expensive Golfs. Even the performance R model isn’t too harsh, especially with the optional adaptive dampers fitted, while the off-road biased Alltrack versions are the smoothest-riding of the lot. Few cars in any class handle as securely and predictably as the Golf. Despite its supple suspension, body sway is kept neatly in check through tight twists and turns, so you always feel confident that the car is going to respond exactly how to want it to. There’s loads of grip, too, meaning you can hustle the Golf along a twisty B-road surprisingly rapidly. 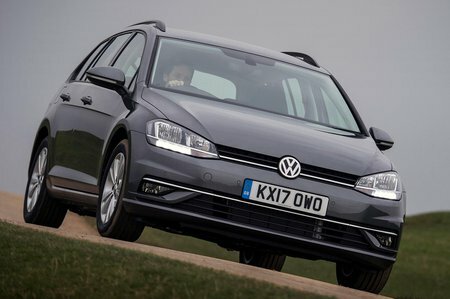 True, it isn’t quite as fun or as sharp as a Leon or Ford Focus Estate, but the Golf's steering is nicely weighted, accurate and tells you everything you need to know about what the front wheels are doing. The slightly jacked-up Alltrack off-road model wallows about a touch more, but with four-wheel drive it gets its power down effectively. As does the mighty R model, which also benefits from stiffer suspension than any other versions, so it darts into corners more nimbly and stays flatter. The Golf is one of the quietest cars in its class. Wind and road noise are well suppressed at motorway speeds, so it’s a quieter cruiser than a Leon or Octavia, and most of the engines are among the smoothest available – especially the four-cylinder petrols, while the 1.0 thrums away merrily but is never coarse. Only the 1.6-litre diesel is a little disappointing, sounding a tad boomy when revved. The well-judged weighting of the pedals makes it easy to pull away and stop smoothly, while the six-speed manual gearbox fitted to most versions is slick and precise. The five-speed ’box fitted to the 1.6 diesel is less impressive, with a slightly notchy shift action. The optional DSG automatic ’boxes also tend to be a bit jerky at parking speeds, but shift smoothly once you’re up and running.